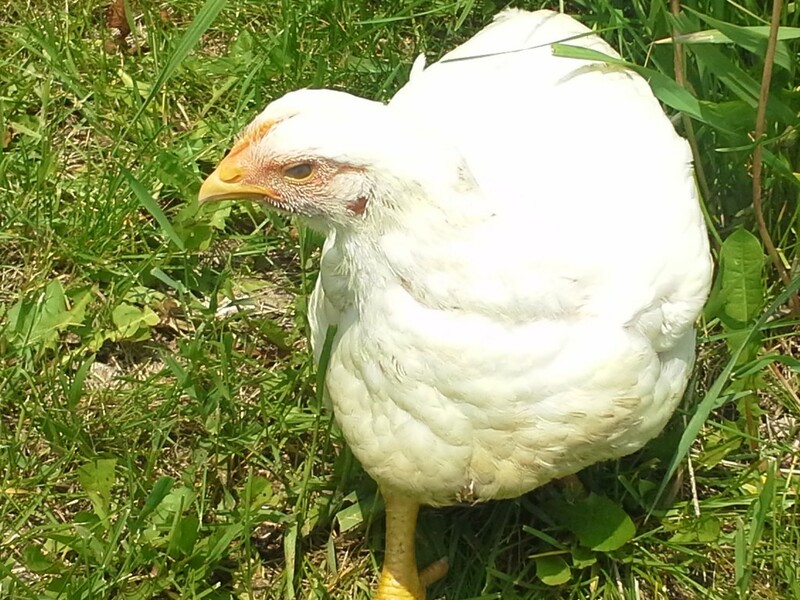 We have recently processed another small flock of meat chickens and have some birds left for sale. 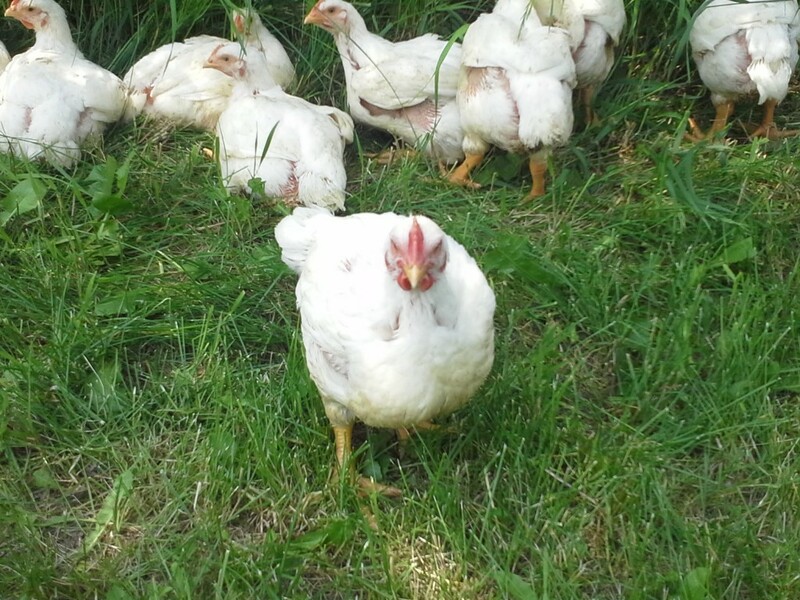 These are pastured, free range birds, raised in our orchard. They are professionally processed at Quality Cut Meats in Cascade and then frozen. The birds have received no hormones or antibiotics. Unlike most commercially prepared chickens, no brine, chicken broth or anything else is added during processing. They are 100% chicken. Young chicken enjoying the sunshine. The variety we raise are called Rock Cornish Cross. They are a large, meaty bird, suitable for grilling, frying or roasting. The average bird weight is over 5 ½ pounds, making for a substantial chicken! One bird will generally provide two or more meals for a family of four, making them an excellent value. 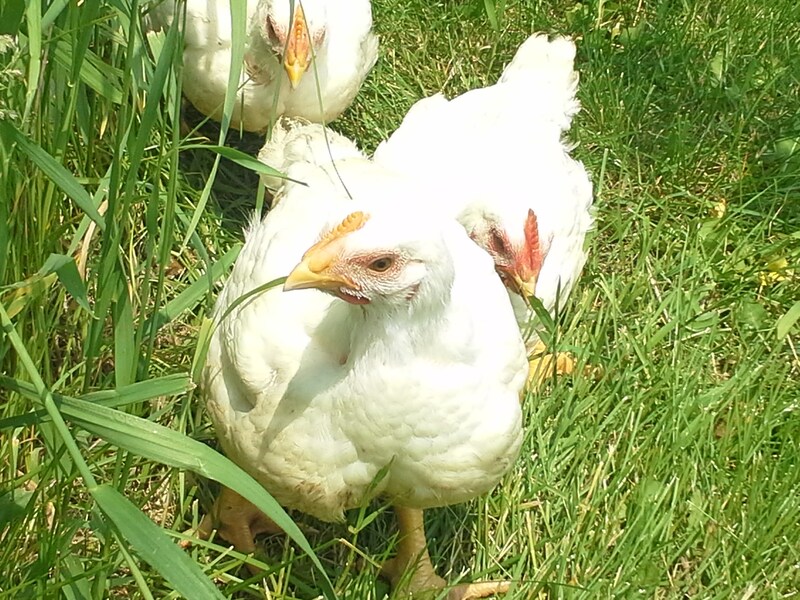 The price for this batch of birds is $3.25/pound for CSA members ($3.35/pound regular price). Each bird is weighed and individually frozen. They take at least 24 hours to thaw so plan your cooking accordingly. Please let us know if you are interested in purchasing one or more birds. We will also have another small flock of birds ready in mid-September. The September flock will be the last meat birds this year. Three young chickens enjoying the fresh air and sunshine. This entry was posted in Chickens and tagged chicken, meat. Bookmark the permalink.